Obituary for Welton "Duke" Walker, Sr. | Jones Funeral Home, Inc.
Welton "Duke" Walker, Sr., 65, a native of Terrebonne Parish and a resident of Gray, LA, passed away peacefully at 6:20 p.m. on Friday, July 20, 2018. Visitation will be from 9:00 a.m. until funeral time at 11:00 a.m. on Saturday, July 28, 2018 at New Magnolia Baptist Church, 427 Hwy 311 in Schriever, LA. Burial will follow in Halfway Cemetery. 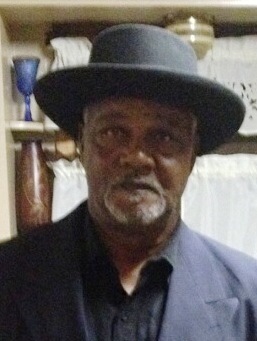 He is survived by his wife, Cora Odomes Walker; sons, Welton, Jr. and William Walker (Chantel); seven grandchildren; two great grandchildren; mother, Mable Marie Walker; brothers, Ernest Smith (Bernadette) and Wallace Smith (Mona); sisters, Diane Walker, Barbara James and Yvonne Coleman (Bernard); godmother, Edna Winslow; and a host of other relatives and friends. He was preceded in death by his grand parents, Clifford, Sr. and Mable Winslow Walker; godfather, Johnny Winslow.